Bitcoins’ popularity maxed out in early 2017 and has been growing since. This cryptocurrency is a massive favourite for many investors, both new and old. Bitcoins are unaffected by economic highs and lows, making it perfect for the investors. 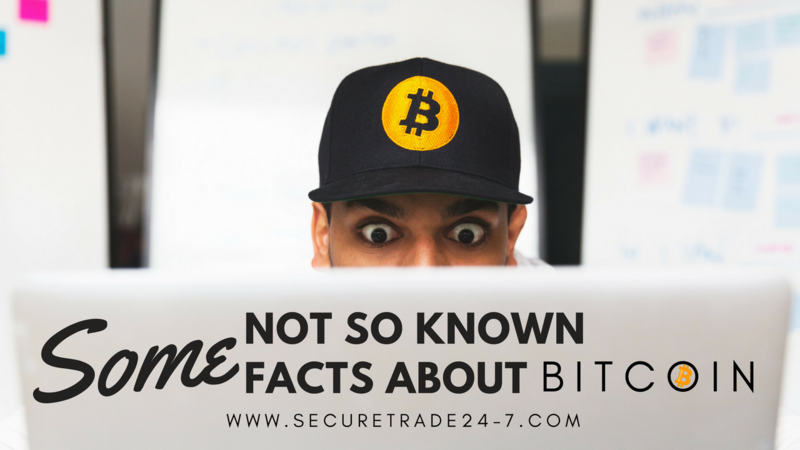 Although all of us pretty much the basics of Bitcoin, there are some facts that most of do not know. 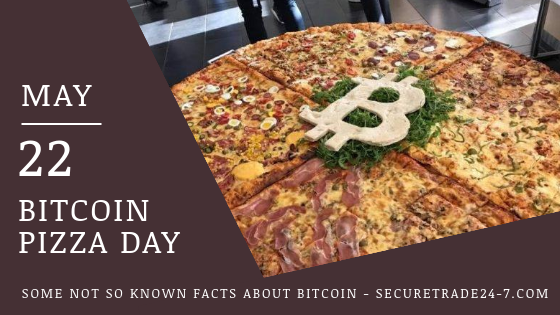 There is a Bitcoin Pizza Day: Did you know that May 22nd is celebrated as Bitcoin Pizza Day? Until May 2010, Bitcoins were practically worthless; you could buy this cryptocurrency in cents! However, all of this changed after the May 22nd when somebody used Bitcoins to purchase a pizza! Laszlo Hanyecz made the first ever purchase with 10,000 Bitcoins to buy a Papa John’s pizza. At that time, the value of 10,000 Bitcoins was only $41! The Mystery of the Owner: The person who created Bitcoins is still a mystery. There have been many claims regarding the ownership, but there is no hard evidence as to who the real owner is. 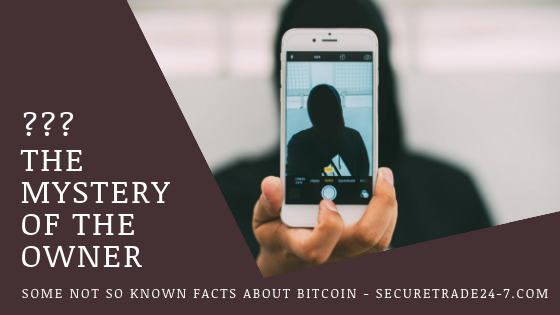 The founder or the developer’s pseudonym is Satoshi Nakamoto. However, the face behind the name is yet to be revealed. The gossip behind the pseudonym is that Satoshi stands for Samsung, Motorola, Toshiba, and Nakamichi. As per this story, apparently, these companies came up with Bitcoins. There is no hard evidence that affirms this. Although shrouded in mystery, Bitcoins’ and their prices keep going up! No Private Keys, No Bonus For you: This actually happened to an IT guy, James Howles. One day, while cleaning his desk he threw away the hard disk that had the private keys to the Bitcoins he had mined way back in 2010. He realized the blunder he had committed when he read the news of a Norwegian guy making a fortune after buying bitcoins at low prices. Howles never did get back his bonuses. So, do not lose your private keys, ever! The Stats: As per the official website 64% of the Bitcoins have not been used and may never be used to purchase anything. One can use Bitcoins to buy many things; however, people do not purchase things with Bitcoins. 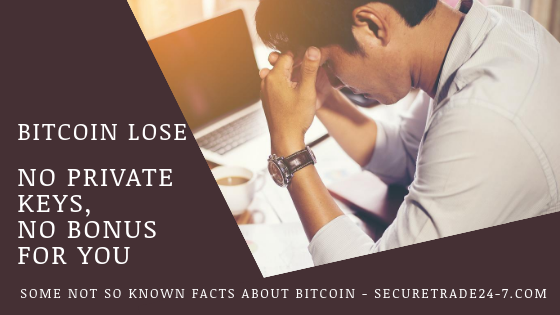 Another report suggests that about 25% of the Bitcoins have been lost forever and will not be used again because the private keys to these Bitcoins have been lost or are missing. Furthermore, there can only be 21 million Bitcoins, ever! 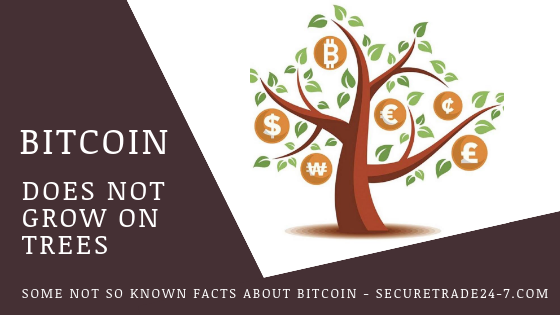 Bitcoin does not grow on Trees and nor did it spring out of thin air: Bitcoins are the product of an intricate process called mining. Mining essentially is a method of coding and decoding various things online. The help of computers is necessary. There are complex mathematical puzzles, and the Bitcoins are generated only after authentication. After validation, which is the first phase of the entire mining process, the transaction switches to a race of nodes. There are complex mathematical problems, and the computer that solves the mathematical puzzles first is rewarded with Bitcoins. Purchasing Bitcoins is Easy: Looking for an investment option? Bitcoins is the best answer. Owing to the ease of purchasing and using Bitcoins, these have become popular. These coins can be purchased online through various Bitcoin exchanges. And the best part about these is that anyone can make the purchase. 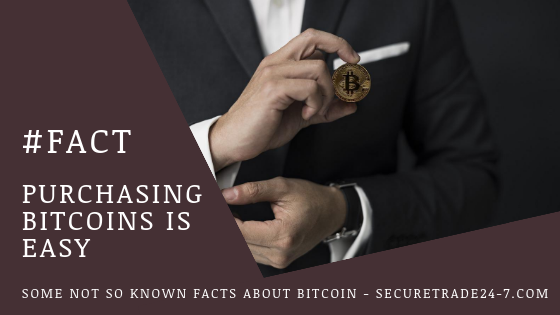 All you need is a knack for understanding the logic and the reason behind investing and multiplying your investment in Bitcoins. The Largest Holder of Bitcoins, Anyone? A fun-fact about Bitcoins, China is the largest holder of Bitcoins in the world. As per some reports, China holds about 60% of Bitcoins in the world! The First Automobile Company to Accept Bitcoins? Lamborghini became the first company to accept Bitcoins for car/automobile purchases! – Over twenty thousand computers are mining Bitcoins. – As per the calculations, the last of the remaining Bitcoins will be sold out by 2140. – Every four years, the number of Bitcoins that have already been created are halved. 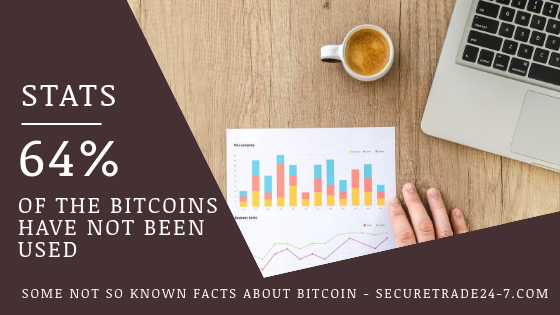 There are many facts about Bitcoin, but the above list enumerates only the most interesting ones!